Dr. Thomas Z – Page 2 – Join me here for a personal take on what it's like to live, work and breathe all things NASA Science. Follow me on Twitter at @Dr_ThomasZ for more! We launched a mission to Mars on Saturday, a risky mission – humanity’s record to land on Mars is only 40%. In fact, the US is the only country to ever successfully accomplish a landing and surface operation on this planet. We think and talk a lot about risk at NASA. We are an agency whose very purpose implies that we *have* to take risks – do things that nobody has ever done before. NASA processes are built around that, have been successfully implemented many times, and have evolved as we learn. And, it has not all been great! 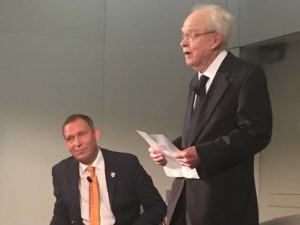 Robert Lightfoot, in his last speech as outgoing Acting Administrator told his audience that NASA needs to reconsider how we take risks, and do so deliberately and with focus. I think that everybody who works on big projects – especially for and within NASA. You can read full the full remarks on NASA’s website. 1) Innovation and iteration always go together. The kicker: to an outsider, especially one who is not innovative, iteration looks like failure. Yet, the world of innovation is not a linear world imagined in many management courses in highly ranked schools, and the most detailed plan does not imply the most progress – perhaps the opposite is true. But, most stakeholders do not understand this. 2) “Pounding risks flat” has opportunity cost, and they are often not part of the discussion. Yes, we can chase every option of failure we can think of, but that has real costs and slows us down. What are we *not* doing during this process? What are we missing by going slower? 3) Process does not eliminate the need for sound judgment and deep skill. Of the 10 signatures supporting a decision, how many indicate a detailed understanding and focus on the issue? These are the only signatures that count! 4) The best decisions are the ones scrutinized by great people with a diversity of view-points. Yes – innovative decisions require tension in the team. That implies a strong focus on talent and career growth and experiences. How do we attract and enable growth of our top talent? How do we learn from other stakeholders, such as commercial companies or other innovators? 5) Projects, like investments, should have a portfolio approach when it comes to risk. We need parts of the project portfolio where we focus on experimenting and learning. 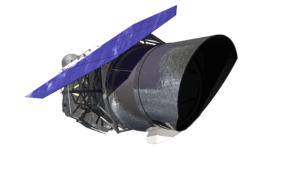 Because of that, we at NASA Science recently changed the way we manage lower cost science missions to include less oversight, fewer reviews, and higher speed. We are thus creating elements in our portfolio where we can take more risks and learn from innovators outside of the agency. 6) Finally, managing risk is a leadership challenge. Lacking risk tolerance is not the fault of our engineers and lower level managers, nor those tasked with risk assessment, but a reflection of values and ambition driving leadership. So, what are we saying about our projects, about risks? How do we react to iterations/learning experiences when they happen in our organization? In summary, taking risks is a necessary ingredient of innovation and leadership! Thus, how we handle risk needs to remain a topic of discussion not just focused on “the how”, but also “the what” and “the why”! 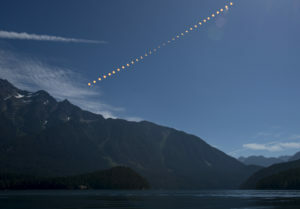 On August 21, the first total solar eclipse across the continental U. S. in almost a century moved our nation to hit the pause button of our hectic lives, to look upwards, and be part of a celestial moment provided by nature to all of us. As the leader of NASA Science, I also was transfixed. But I was also holding my breath hoping that the celestial event would pass without incident. NASA had done all we could to prepare. Requiring all of our 120 official events to have safety plans prepared and requesting our partners across the land to do so too. When we identified any uncertified solar viewing glasses we could find, we worked with the American Astronomical Society to spread the word so everybody would be safe that day. Yet, across this great land for those 90 minutes of lunar passage, celebrations and exclamations of awe and inspiration brought our country together. Connections on a deeply human level were felt. People with glasses you met for the first time became part of that experience, no matter their background, their history – we all felt like one. Afterwards, while hundreds of thousands of homeward bound citizens endured hours of traffic–the day passed without any major incident, and I felt a lot better. As a professional scientist, I have devoted my life to learning about the mysteries of the universe and inspiring others to seek answers. I knew that previous eclipses spurred scientific advances from luminaries like Edison, Eddington, and Einstein. Imagine my elation that the object of my lifelong pursuit provided such a great opportunity for science today and it brought together the Nation that I love so much, looking at the star that affects them each and every day. Science is not only inspiring, it is imminently useful in our daily lives. Our investments in space science pay dividends for decades to come. They result in better forecasts for Earth-based quantities that affect our lives on all time-scales, they safe lives, they are at the heart of new companies, and support National defense. My sincere hope is this eclipse inspires a new movement of citizen scientists, science hobbyists who do important work together, just because they can. All NASA science data is online, freely accessible and ready for use. In fact, never before in human history do we have the entire span of knowledge at our literal fingertips. These data enable citizens of any type to do what professional scientists do: true science starts with questions or suspicions, and with an open mind. Yes, all questions are ok to ask. In the realm of science, doubt is not feared, but welcomed. In the end, we don’t believe in the opinions of individuals, but in what nature answers us to these questions through experiments that we do in our laboratories and also in flight. These answers again should always be open to scrutiny and doubt. When new data are observed, new questions are asked, and knowledge is expanded. In 2014, headlines shocked with the National Science Foundation survey results that one out of every four adults in the U.S. could not accurately answer whether the Earth rotated around the Sun or Sun circled the Earth. That one metric created a NASA science literacy goal to improve results by the 2020 survey. My hope is that with this year’s total solar eclipse the public has an improved sense of the relationship of our Earth/Moon/Solar system. 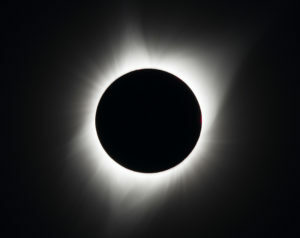 To everybody who does not believe in these scientific facts, here is a simple challenge: predict the next solar eclipse using your own theory! Just as the “can do” optimistic culture of NASA attracted me to leave a tenured position in academia, NASA’s involvement in the eclipse across 14 states, in 6900 libraries, over 200 museums, planetaria and science centers, 40 Challenger Centers, NASA Visitor Centers, national parks, zoos, and even baseball stadiums provided a connection. We had over 5 billion engagements of social media, more than 50 million unique viewers watched our TV broadcast, and another 50 million users watched our YouTube channel either real-time or since then. Previous total solar eclipses have spawned cadres of chasers that travel the globe seeking those brief eerie minutes of totality. But my hope is that this eclipse creates a new appreciation for and relationship with our nearest star and the tool that allow us to learn about nature. Learning about nature is inspiring and important and always rewarding. My only suggestions: Start making plans for the next total solar eclipse in this country on April 8, 2024. Check out science.nasa.gov and nasa.gov to learn about this past eclipse, the next one, as well as other science! The Parker Solar Probe is in the news everywhere! Prof. Eugene Parker at the University of Chicago is a truly amazing scientist with an overall impact for the Nation’s space program that is rarely matched. Looking at the current NASA mission lists, we have more than 10 missions today we are working on or flying for which Parker has done foundational work. I was therefore really excited to be a key contributor to the effort that renamed Solar Probe after Parker – he had predicted the solar wind and its magnetic field in the ’50s before it was experimentally confirmed. But, what happened at this renaming event really was not only a home-run, but a ball flying two, three blocks beyond the stadium! We had expected this to be a rather local event and I therefore decided to move the event to the University of Chicago, so he could attend and the community could celebrate him. I called up the president of the University to ask whether he would be willing to partner, and he was. 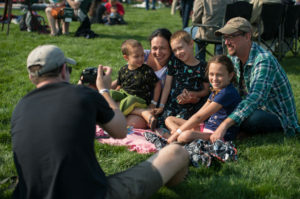 The rest of the story is pretty much about Nicky Fox and her team at APL, Steven Clarke & Dwayne Brown and their teams at NASA HQ, and a superb PR crew at U Chicago, who came together as one and put a program together that included public talks in Chicago, a Parker Solar Probe tech and science exhibit. The renaming ceremony which was standing room only, included around 10 TV cameras, radio and written press. You have seen the story on TV all around the world – the story we assumed would be local, turned global. 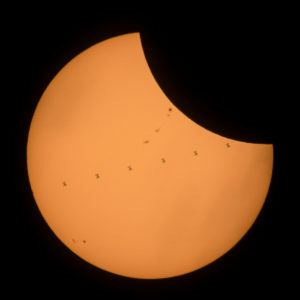 We were live on NASA TV (https://www.youtube.com/watch?v=jRyKWzTT6kg) and within a couple of hours of the event it was on Swiss TV (I know because I got texts), it was on US National TV, and many stations everywhere. I heard from John that the local Chicago stories entirely focused on Gene, which is exactly what we hoped for. But, many stories focused on the mission that Nicky so well described. 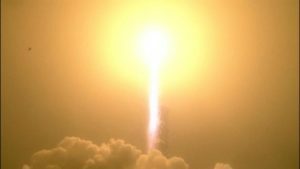 It is the “coolest, hottest mission” ever done, “a mission of extremes”, and one that only happens because of a team coming together as one and working harder than they ever thought they could – the Parker Solar Probe. I was so happy to work with Steve to give Parker the NASA Distinguished Public Service Medal, the highest recognition given by NASA to non-government employees. He will also forever be the first living human ever with a NASA mission named after him! I want to thank all the Parker Solar Probe PIs (Justin Kasper, Stuart D. Bale, Marco Velli, Dave McComas, Russ Howard) for making this event a priority. I also appreciated seeing Stamatios Krimigis there, without his effort there would be no Solar Probe today, and Thomas J Bogdan, one of Parker’s students, who took this picture. A few weeks ago, NASA announced a stunning news-story which became one of the biggest NASA science stories ever: over 3 billion interactions with NASA’s online content, hundreds of newspapers (including New York Times) carried the story on the front-page, tens of thousands of articles were written in the worldwide press, and a Google Doodle topped it all off (https://www.google.com/…/seven-earth-size-exoplanets-discov…). 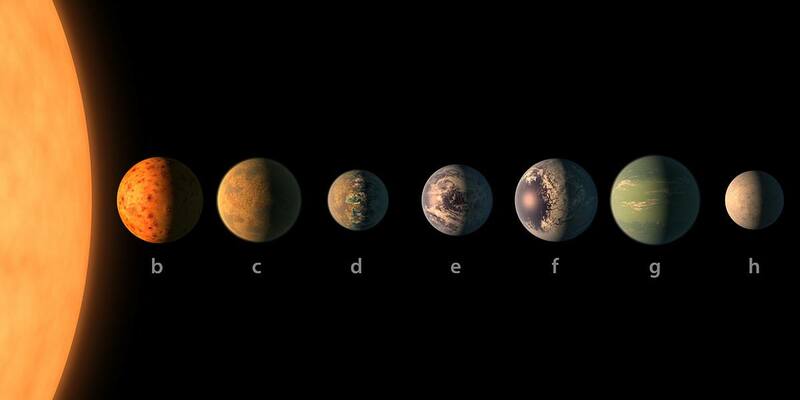 The story is compelling: Based on NASA Spitzer observations, Trappist-1 is a newly discovered mini-solar system with 7 rocky planets, 3 of which in the habitable zone where water can pool on the surface. This post is about things that happened since, and that shows how exoplanet research is becoming increasingly inter-disciplinary. A couple of weeks after the initial announcement, Kepler on its K2 mission provided 74 days of monitoring of the Trappist-1 system and its cosmic neighborhood (https://www.nasa.gov/…/nasas-kepler-provides-another-peek-…/). Within 2.5 hours, the first tweet came out indicating a result: An astronomer had found a second pass of planet H, the outer-most planet. Within weeks, that result was already summarized online as part of the arXiv e-print series (http://adsabs.harvard.edu/abs/2017arXiv170304166L): planet H is at the snow-line, beyond which water can exist only in its frozen state. Many of the other results of the initial paper were also confirmed. Obviously, these results (as well as others mentioned below) will have to go through review before the results are fully accepted. The data also provided important additional information about the activity of the star. Just like our Sun, Trappist-1 has magnetic activity that leads to flares. In fact, astronomers know that this type of dwarf star tends to have a very violent past when it comes to stellar activity – possibly providing an important ingredient whether or not life can persist on this planet. One researcher told me that using the data about the magnetic field known from this star, it seems that the field is such that the planets sit in a subsonic part of its stellar wind, and not the super-sonic part as all planets here in the solar system. If this is correct, the Trappist-1 planets have a fundamentally different space weather environment than the Earth with stellar wind coming towards them from all directions, not just from the direction of its star. There is another result that is important in this context, and this one is from our neighborhood – from MAVEN, currently orbiting Mars. Based on their data of atmospheric loss of specific components, the team concluded that Mars lost most of its atmosphere and its water during its history, making it far less hospitable than the Earth. According to the authors, the culprit for this loss is the absence of a global-scale magnetic field that suppresses such loss to space. Do Trappist-1 planets have magnetic fields? We don’t know at this point. Finally, a submitted paper by Wolf (https://arxiv.org/abs/1703.05815) does the first analysis of a climate model for the Trappist-1 planets. Needless to say, there are lots of assumption in there, put the paper points out that – under several assumptions – planet E has the best chance to be a habitable world. To me, the paper indicates how many observations about the planets’ atmospheres we need to make to actually nail down some of the very hard questions about the habitability of these strange worlds. In summary, the Trappist-1 discovery announced a few weeks ago is already spurring research that goes far beyond the initial observations. 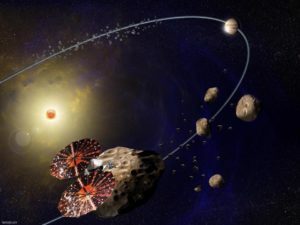 The follow-up studies give an indication that to answer the fundamental question: “Is there life out there?”, is a fundamental question that will require scientific breakthroughs from many different science fields, including ones who currently are not deeply engaged in this exciting research. This demonstrates the nature of great research: it’s not just about answering questions that have been asked in the past, it is about asking entirely new questions that will have impact for a long time to come! It took nearly 100 years for predictions about frame-dragging, a direct consequence of Einstein’s theory of general relativity published in 1915, to be confirmed using a sophisticated analysis of three spacecraft in orbit about the Earth. The Earth is very, very slowly dragging space with its rotation, subtly changing satellite orbits, as predicted by two Austrian scientist in 1918, and finally confirmed at the <10% level around 2010. 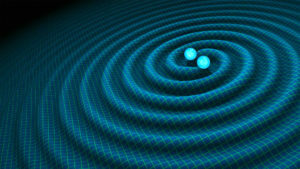 It also took more than 100 years for the ground-based Laser Interferometer Gravitational-wave Observatory (LIGO) to make the first observations (announced almost exactly 1 year ago!) and to confirm one of the most fundamental predictions of the same theory – the existence of gravitational waves. This prediction has ignited more interest in space-born detections of these waves by spacecraft such as LISA, the Laser Interferometer Space Antenna, which will open up a whole new window into the universe. 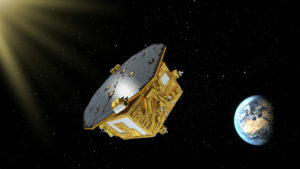 An artist’s rendering of LISA Pathfinder on its way to Earth-sun L1. It will have taken 60+ years for NASA’s Solar Probe mission to launch in 2018 in order to test the fundamental predictions made by Parker in his profound 1957 paper that almost was rejected by reviewers. It just seemed too unlikely – why would the Sun eject supersonic plasma that fills space? Now, we are finally building the spacecraft to examine the solar wind where it matters most, at its source. 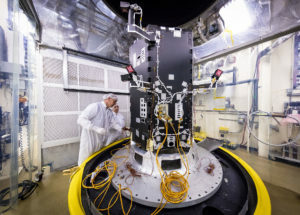 NASA’s Solar Probe Plus undergoes preparation for testing Engineers at the Johns Hopkins University Applied Physics Laboratory in Laurel, Maryland, prepare the developing Solar Probe Plus spacecraft for thermal vacuum tests that simulate conditions in space. Sometimes, doing the best science takes a lot of time! It turns out that the most important physical effects we seek to confirm are extra-ordinarily subtle or tough to access. 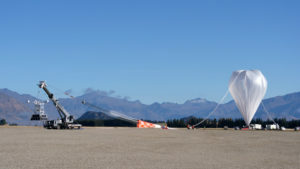 To do the frame-dragging experiment, we had to learn how to launch spacecraft, how to shoot lasers at them and to measure times and positions at highest accuracy. It took a deep understanding of radiation pressure forces and also of the Earth gravity field and levels we could only imagine in the 1900s. The engineering challenges for LIGO almost seem hopeless: detect motions of scales of 1/1000 of an atomic nucleus. Build 4 km long vacuum chambers, and do so twice, 3000 km apart, but in precise coordination. It seems hopeless when you start, but it leads to the best science and it launches a storm of innovation to make it reality. So, what does it take to get so close to the Sun that you can observe the waves that accelerate the solar wind? You need to be at 10 solar radii, with nearly 50,000 more heat hitting the spacecraft surface than near Earth. To survive this heat, one has to invent a thermal protection system that not only can survive, but do so that the sensitive science measurements next to them are still possible. The spacecraft has to be on auto-pilot for some of the most important phases. It is really, really hard! Looking at history, it turns out, that we always need to invent some totally new and innovative technologies to enable new ambitious science. This interplay between ambitious science and innovative technologies is one of the most impactful aspects of NASA’s science program. 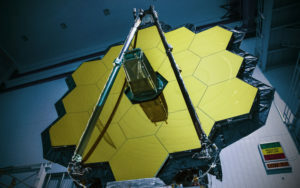 Projects like LISA, the James Webb Space Telescope, or Solar Probe are like science moon shots: We invent all the steps of the path till we finally get the desired goal! This science-driven technology development not only enables scientific leadership, it also feeds an innovation engine with impacts that are well beyond the realm of the initial question and application space. We know about the economic impact of the Apollo program, and we are in awe about the broad applicability of space technologies for National defense, our technological leadership and also our economy. And in rare cases, our observations we make in space change everything, even the way we think! There is nothing more profound than that. Broad and lasting impacts are not coming from playing it safe, they come from ambitious science driving innovative technology. Note that we have a NASA science program that has a variety of tools with different objectives. But, when it comes to breakthrough science, playing it safe intellectually does not cut it! Final point: intellectual ambition is not proportional to the cost of a system. In fact, the most entrepreneurial solutions are the ones that pair intellectual ambition with nearly impossible financial constraints! 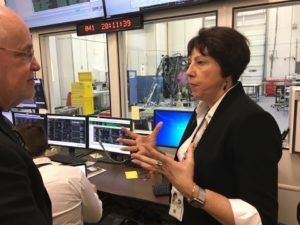 Last week, I did my first trip abroad as Associate Administrator of Science at NASA, visiting both Switzerland and France. 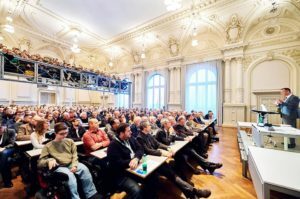 My first talk was to an audience of about 600+ at the University of Bern, my alma mater. I started my presentation by announcing that we were making history today since I was the first NASA Associate Administrator to give a science talk in German (pic below from U Bern). I had prepared for over four hours to ensure that i knew all the words. During this chat, I discussed the impact that science has in the world. From benefiting humanity on Earth, to the importance of fundamental research, the science that NASA does on a daily basis is critical. I also gave a lunch talk in Swiss German three days later where I focused on the power of innovation and leadership in organizations. The next day, I finally gave a talk to a French audience. Even though I took some questions in French, I did not dare give my talk in French just having arrived in Paris the day before. I studied French for 10 years. French is the only subject area in my entire education I did not pass. The only comfort for me as a teenager: Einstein also failed French. In fact, French was my first true foreign language and I despised learning it, not realizing how powerful languages would become in my life. Only a few years later, I lived in a French speaking town and later I shared an apartment with a friend who spoke French. For many scientists, foreign languages are much more difficult to learn than math or science. But, I have become a strong proponent and actively encourage students to do so. When learning a foreign language two things happen. First, one learns to communicate to more and different people on this Earth. Second, and equally important, learning a new language makes one think of one’s own language. We learn about its origins, its defining characteristics, and also about culture in new and different ways as language and culture are deeply interrelated. Why is this important? From decades of observations and experiences, I am convinced that the ability to communicate fluently across cultural boundaries is directly linked to the richness of ones personal experiences and also to career success. If we only talk to people who think and talk like us, even when speaking in our native language, we never fully realize the power of what we do to truly make the world better. I spent the weekend home in Ann Arbor, with my family. I made that decision after receiving a message from the people running my apartment-house in DC telling me to stay away from windows and off balconies during the Inauguration related events. In fact, I was glad to spend time in Ann Arbor and I even had time to visit some friends and former colleagues at the University of Michigan and do an interview for Gary Krenz’s Bicentennial activities. The interview made me think because of a question he asked that was very hard to answer. It was a question about “my home” and how I feel about it. See, as an immigrant, the concept of “home” is a lot tougher to define than for others. Consider my brother, who sent me the picture attached to this post. He grew up in the same house he now lives with his beautiful family. Looking at this picture from this weekend – who would not agree that he has a beautiful and amazing home. You ask him where his home is, it takes him 2 seconds to give you the answer. For me, it is a lot longer answer. I grew up there as well, and I have a lot of positive feelings about the town of Heiligenschwendi. But, I love Bern as well, where I lived over 10 years. I got my education there, tons of great memories, and lots of friends – I grew up there. I even lived the better part of one year in Bern with my US family. If I organize a trip to Switzerland, I first think about where to stay in Bern, my former home. And then, I moved to Ann Arbor, the place I built my career, made friends, and – most importantly – the place where I met my wife, where my two children were born. I also found the most supportive environment any young researcher could hope for, an environment that enabled what I do now. I lived in four places in Ann Arbor and was an owner of two houses at different moments in time. Right now, we are getting ready to sell our house where my family lived in for 13+ years, and we are thinking about which town we want to make our home in the future. I will always think of Ann Arbor as my home, as a place close to my heart for which I feel a sense of belonging. 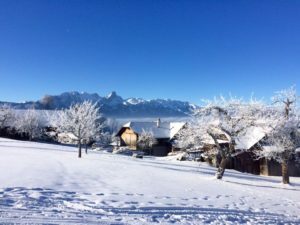 I feel the very same way about Bern and Heiligenschwendi, and – if I am lucky – I will find another place or two that I associate with my life, my love, my family and friends and also with opportunity to have impact. But, the point is that I have more than one home and – because of that – I think about this more than the 70%+ of people who live within 5 miles to where they grew up. So, what is my home? I am lucky to have had more than one during my lifetime! But, my home is where my family and my friends are! Living in D.C., I get a unique front-window view on US politics and learn about the country in a new and unprecedented way. Right now, the entire city is buzzing about the inauguration and the peaceful change of power that is typical of presidential transitions since the beginning of the US. Last week, the entire county listened to current president and his associates reflect on his last 8 years of presidential politics. We watched the vice-president’s tearful reaction when he was surprised by his friend, the president, awarding him the medal of freedom, with distinction. Yes, this change is filling the news worldwide. But there are things you only see in DC. Here are two visual impressions of this transition. The right hand picture shows the inside of the White House’s Eisenhower Executive Office Building on Friday, Jan. 13. 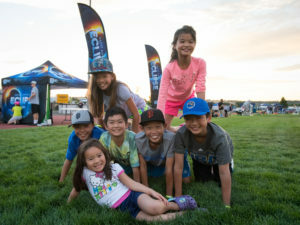 It felt like the last day of summer camp: empty boxes everywhere, and full boxes stacked in hallways, friends hugging and taking pictures. There were lines of political employees looking for “single point checkout”, where they can turn in their batches and government furnished cell-phones. And the White House gift store had a long line, as so many dedicated and loyal members of the U.S. government looked back to the past years and thought about what is next. I talked to some of them – they really, really care about the jobs they are leaving. The picture on the left hand side shows the view out of the door of my apartment building. I live on Pennsylvania, about 10 blocks from the White House and right by the parade that will happen next week. 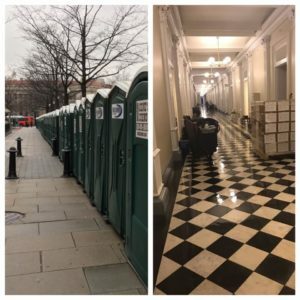 The porta potties are in preparation of the hundreds of thousands of participants of the Inaugural Parade, and also the big march the day thereafter. There are bleachers, TV antennas, camera towers, and elevated platforms everywhere. In fact, a whole bunch of people have been working on these for weeks. As inauguration approaches, more and more security personnel show up. My apartment building sent a letter last week that told us to stay off the balconies and away from windows during Inauguration Day. This is real life in D.C., enabled by a cadre of civil servants, security personnel and police officers that enable one of these very things that make our country what it is. Thanks to everybody who was part of the previous government in whatever role and thanks for those who are setting their personal goals aside for service as part of the next administration. It’s these selfless and unsung heroes that make the government work! 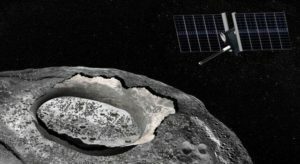 Sensing the environment of black holes and the origin of high-energy cosmic rays, exploring the early building blocks of the outer solar system, and a journey to the metal-world of a planetary core – these are the science investigations NASA announced this week, my first three selections as an Associate Administrator. Imagine sitting in a room for many hours and listening the the sales pitches of mission finalists. Each pitch is exactly an hour and highly regulated with respect to its contents and participants of the pitch. The team is nervous and worried, trying to interpret every move you make, where you look and second-guess what each question means that you ask. This is what I did during December – eight times over. Selecting a mission is hard. It is all about the future, about the new science that will be learned. But it also about professional aspirations of some of the hardest working members of the entire science community, the investigators and their teams. Finally, it is about the intellectual and economic capacity of the US as a space-faring nation. I made selections resulting in three teams having the weeks of their lives, and others having bitter disappointments. I delivered all phone calls personally – to the winners and to the ones I had to give bad news. In all cases there were two things about which I was absolutely certain: First, the selections were done with the highest level of integrity and to benefit science and the US. Second, each call was made with my best attempt to directly relate to the principal investigator. As opposed to many others in my job previously, I too received many calls with bad news, and I too got a few good ones. Both, the good and the bad calls I received changed my life. The only reason I get to make these calls now is, ironically, due to the fact that I received three such negative calls approximately a dozen years ago. For me, sometimes the answers that were hardest to receive, had the most positive impact in my professional life! As for the selections announced this week – I only wish I had been able to select even more missions. Most importantly, can’t wait to see these missions become reality – this will be so exciting!